Qur'an 2:47, "O Children of Israel! Call to mind My favour which I bestowed on you and that I preferred you to all others (for my Message)". Qur'an 3:33, "Allah did choose Adam and Noah, the family of Abraham, and the family of 'Imran (Maryam's father) above all people." Qur'an 5.020: "Remember Moses said to his people: "O my people! Call in remembrance the favour of Allah unto you, when He produced prophets among you, made you kings, and gave you what He had not given to any other among the peoples." Qur'an 6:84-87, "We gave him (Abraham) Isaac, and Jacob: all We guided and before him, We guided Noah, and among his progeny David, Solomon, Ayub, Joseph, Moses, and Aaron :Thus do We reward those who do good. And Zakariya and Yahya, and Jesus and Elias: all in the ranks of righteous. And Isma'il and Elisha and Jonah (Yunus) and Lut. And to all we gave favour above the nations. (To them) and to their fathers, and progeny and brethren (the Bani Israel): We chose them, and we guided them to a straight way." Qur'an 29:27, "And We gave (Abraham) Isaac and Jacob, and ordained among his progeny Prophethood and Revelation, and We granted him his reward in this life; and he was in the Hereafter (of the company) of the Righteous." Qur'an 44:32, "And We chose them (Bani Israel) aforetime above the nations, knowingly." Qur'an 45:16, "And verily we gave the Children of Israel the Scripture and the Command and the Prophethood, and provided them with good things and favoured them above (all) peoples;"
Qur'an 57:26, "And We verily sent Noah and Abraham and placed the prophethood and the scripture among their seed, and among them there is he who goeth right, but many of them are evil-doers." People will uphold Ishmael's blessing over their fathers promise that was greater. Gen 17:15 And God said unto Abraham, As for Sarai thy wife, thou shalt not call her name Sarai, but Sarah shall her name be. Gen 17:16 And I will bless her, and give thee a son also of her: yea, I will bless her, and she shall be a mother of nations; kings of people shall be of her. Gen 17:17 Then Abraham fell upon his face, and laughed, and said in his heart, Shall a child be born unto him that is an hundred years old? and shall Sarah, that is ninety years old, bear? Gen 17:18 And Abraham said unto God, O that Ishmael might live before thee! So Abraham said look I cannot have a child in my old age just give the blessing to Ishmael but that is not the plan the Most High had in mind. You cannot come here and speak of Ishmael and not speak of the greatest covenant that was given to man which is what we received. So now did the Most High fulfil this? Yes he did they have everything now the Most High promised him. Gen 17:21 But my covenant will I establish with Isaac, which Sarah shall bear unto thee at this set time in the next year. The Most High's covenant is with man and he will establish that with Isaac not Ishmael. Gen 22:1 And it came to pass after these things, that God did tempt Abraham, and said unto him, Abraham: and he said, Behold, here I am. Now Ishmael was 13 years older then Isaac but the scriptures do not even acknowledge Ishmael. The Most High's agreement of a covenant was not made with Ishmael it was made with Isaac before he was even born. No Child of Ishmael can be a prophet according to scripture. Deu 18:18 I will raise them up a Prophet from among their brethren, like unto thee, and will put my words in his mouth; and he shall speak unto them all that I shall command him. You have to consider at this point after reading Genesis 22 Ishmael was no longer considered as being Isaac brother. 1 When he was born there was a decree for his life also when Christ was born there was a decree also. 2 Moses was born to save his people just like Christ was born to save his people. 3 Moses gave a law on Mount Sinai and Christ gave the spirit of the law and how to follow it with grace. Act 7:23 And when he was full forty years old, it came into his heart to visit his brethren the children of Israel. Deu 18:19 And it shall come to pass, that whosoever will not hearken unto my words which he shall speak in my name, I will require it of him. Deu 18:20 But the prophet, which shall presume to speak a word in my name, which I have not commanded him to speak, or that shall speak in the name of other gods, even that prophet shall die. There is no history of Mohammed hiding from any king that was looking to kill him. Ishmael is leading us to another God because the God of the Hebrews has a Hebrew name not an Arabic name. Joh 1:45 Philip findeth Nathanael, and saith unto him, We have found him, of whom Moses in the law, and the prophets, did write, Jesus of Nazareth, the son of Joseph. A primitive root; to ascend, intransitively (be high) or active (mount); used in a great variety of senses, primary and secondary, literally and figuratively: - arise (up). (cause to) ascend up, at once, break [the day] (up), bring (up), (cause to) burn, carry up, cast up, + shew, climb (up), (cause to, make to) come (up), cut off, dawn, depart, exalt, excel, fall, fetch up, get up, (make to) go (away, up), grow (over), increase, lay, leap, levy, lift (self) up, light, [make] up, X mention, mount up, offer, make to pay, + perfect, prefer, put (on), raise, recover, restore, (make to) rise (up), scale, set (up), shoot forth (up), (begin to) spring (up), stir up, take away (up), work. Gen 21:9 And Sarah saw the son of Hagar the Egyptian, which she had born unto Abraham, mocking. Gen 21:10 Wherefore she said unto Abraham, Cast out this bondwoman and her son: for the son of this bondwoman shall not be heir with my son, even with Isaac. Our people do not like the scriptures because the scriptures is the only book that shows our people how wicked we are. It shows us that we have to change and we do not want to so we find issues with it. Allah is a new God that came newly up whom our forefathers feared not because we did not know who he was. That Kabba stone is an Idol because to bow in front of it is giving it reverence. 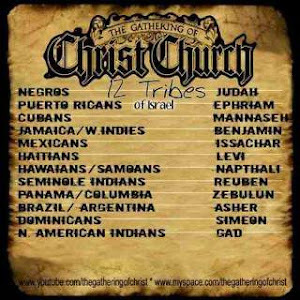 Well we can see that the ishmelites and edomites started their own religions because they were not chosen by God.The satanic babylonian religion of babylon persia greece rome.The edomite pagan hero Constantine started Christianity and chose the bible new testament to replace nimrod horus mithra serapis christus zeus christus with Jesus white mohamed took the old testament and blended persian goddesses allat manat uzza ie isis semiramis venus astarte artemis diana.The roman catholic church with sun worship male and islam with moon worship.The architecture of mosque dome female breast cresent moon and star ashteroth and phallic obelisk baals shaft.The word church is pagan represent goddess kirk.Church architecture oval doors femake genatalia and steeples baal shaft.Cross represents tammuz and is phallic symbol.This all shows disrespect to the Most high God AHAYAH.People in Africa are still ignorant and still practise these two religions which their fathers knew not.They fight wars for religion.The slave trade continued because i remember my grandparents were put in concentration camps by the british in 1960s in Zimbabwe formerly Rhodesia.We now know Christianity was used to conquer people since Constantine motto in hoc signovinces meaning in tbis we conquer.The Jesuits in Rome run banking commerce press media the world presidents leaders industrialists through knights of malta knight of st john of jerusalem knights of columbus and also muslim brotherhood through secret societies freemasonry .The slave trade was started by Jesuit knight templars and Jewish vatican bankers Rothschilds Rockefellars etc and Black nobility European royal families 1886 berlin treaty. The【Hidden】Message In The Film "Avatar"
Nailed It: Is Racism Over Yet? Ronald Sanders Lost Tribes and Promised Lands.